NOW AVAILABLE -- No. 74, OUR LATEST ISSUE! 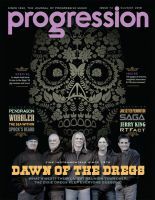 Dewey Gurall – the touching and intriguing story behind the late Progression writer’s lifelong love affair with music. The surround-sound phenomenon – a primer on how best to enjoy recorded progressive music. Also included: an overview of the Jethro Tull boxed-set deluxe reissues featuring 5.1 surround-sound. Cruise to the Edge 2018 – an in-depth look back at the most recent edition of this shipboard progressive music festival, including artist interviews. 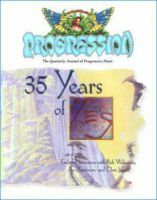 ROSFest 2018 – a review of the longstanding progressive rock festival’s latest entry and last in Pennsylvania before moving to Florida for 2019. 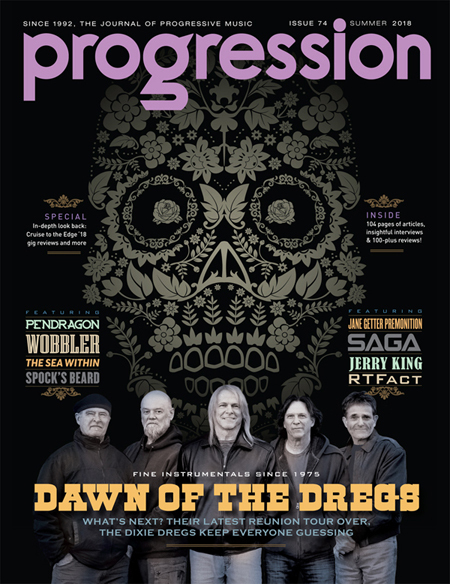 Also in this issue – coverage of Robert Berry’s new album project featuring contributions from the late Keith Emerson, developments with the Kinesis progressive music mail-order service, an in-depth review of Jasun Martz’s new seven-disc boxed set, updates on forthcoming festivals plus more than 100 album and video reviews.